Charging method for 12v gel filled motorcycle batteries. 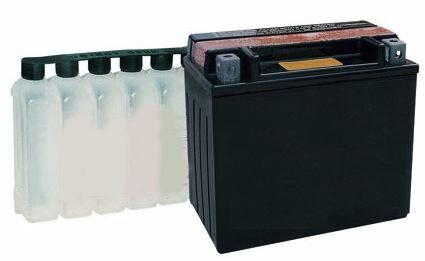 Gel filled batteries normally have have black, dark blue or grey cases and come completely sealed, so there’s no opening in the battery or acid to fill the battery with. 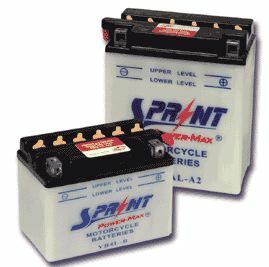 Like maintenance free batteries, these batteries don’t need the acid levels monitored or topped up. Maintenance free motorcycle battery charging method. 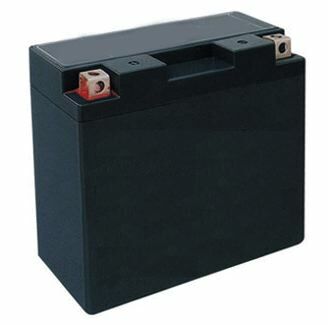 Sealed/maintenance free (also know as dry cell) batteries normally have have black cases and a plastic strip to cover the 6 filling holes in the top of the battery. Unlike conventional batteries, once these batteries have been filled and the cap is placed in the top, the battery is ‘sealed for life’ and doesn’t need to be removed or the acid levels monitored or topped up.